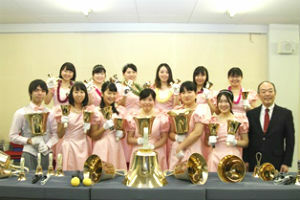 We are the handbell choir from Hakuoh University in Oyama, Tochigi. We have travelled to Hawaii to give a performance 27 times so far, and this is the second time we join the Honolulu Festival. We will perform with 7-octave bells ranging in weight from a little over half a pound to 15 pounds, along with 5-octave chimes. 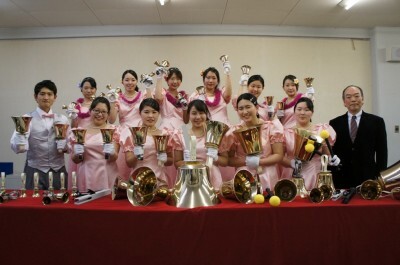 We are the hand bell team established in 1988. We have performed 24 times in Hawaii. We decided to participate in Honolulu Festival to celebrate commemoration of 25th performance in Hawaii. 12 people perform with the bell of 7 octaves ranging from 0.7lbs to 15lbs and the chime of 5 octaves. Please do not miss it.